With Windows 8 Consumer Preview, that has finally been installed in my PC, I am ready to try every single software on Microsoft’s all new operating system. Now, when I finally decided to try every software, I started up with blog-publishing software, Windows Live Writer. Well, that’s what I use for posting my blogs everyday. This free blog-publishing software makes your content richer by providing excellent input interface for images, texts, hyper-linking, or other formatting. Click on given link, Download. Click on “Download Now” given at the top right-side. 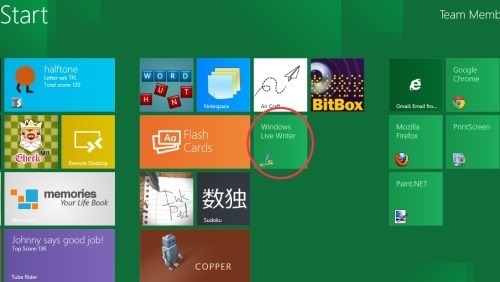 It will install Windows Live Writer as you proceed with the on-screen instructions. Also, check out our post on Reasons to look forward to Windows 8. Although, the setup is exactly the same as we configure it on other operating system. However, you can still take a look over Live Writer Set-up instructions.